It’s been a few months since the Mikes stopped hosting Mike & Mike together every morning on ESPN radio. 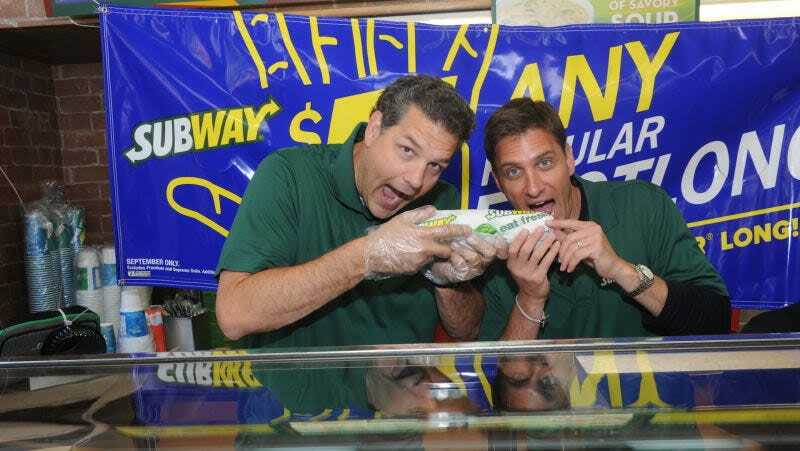 Since the dissolution of this Mike partnership, Mike Golic (Big Mike) has started a new radio show with a new Mike named Trey, and Mike Greenberg (Little Mike) has been hard at work preparing to launch a new ESPN morning television show that will debut in April. With the premier of Little Mike’s show approaching, he sat down with the Chicago Tribune to reflect on days past. Greeny, have you had a chance to catch Golic and (Trey) Wingo (which replaced “Mike & Mike”)? MG: The best thing about having this time off has been that I’ve had breakfast with my kids at the diner on their way to school practically every morning. I have listened almost every day. The show is great. I get everything I need from it. So Little Mike listens to his old Mike’s radio show every morning. Is this perhaps a sign that Little Mike still thinks about and misses Big Mike more than he’d like to admit? Is he beginning to understand that a Mike becomes less of a Mike when he is separated from his Mike? Can these Mikes, once bonded but now apart, ever truly know peace?